One of the most important ways to protect your commercial property is to have a durable, long lasting roof. For flat roofs, the most trusted and time tested roofing material is a PVC roofing membrane. Known for their durability, commercial PVC roofs have been installed on restaurants, shopping centers, manufacturing plans, industrial facilities, etc. covering millions of square feet worldwide. Learn in detail about all the advantages of PVC roofing that make it an ideal roofing choice for your business. – Resistance to impact and abrasion (possible with with photovoltaic panels on the roof). – High Resistance to punctures, tears, and impact. See full overview of IB PVC Roofing for Commercial applications. PVC roofing is exceptionally durable and strong due to the heat – welded seaming technology. Heat – welded seams allow one single piece of PVC roofing to cover the entire roof surface, eliminating seams and joints. Being heat-weldable makes PVC very flexible and therefore suitable for surfaces of almost any shape. Flexibility also allows PVC roofs to have high tolerance for thermal movement. Moreover, PVC membranes remain weldable throughout their lifetime. 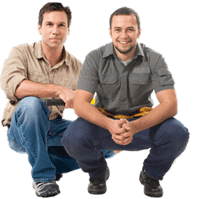 This makes repair, maintenance, and any roof modifications to install new equipment fast and easy. A properly installed PVC roof requires very little maintenance over the course of its service life. Typical maintenance consists of simple cleanup of dirt and debris to ensure that all drains and water channels remain unclogged. The frequency of this maintenance depends on the climate, the amount of foot traffic your roof gets, the speed with which it sheds and evaporates water, and the amount of organic and none-organic debris accumulating on it. Repairing a PVC roof is fairly easy, once a source of leak is discovered. All that has to be done is welding a patch of new membrane over a hole in the roof. See the video below, where a PVC roof repair is done on a 16 years old Dura-Last roof in Cambridge MA is patched using IB PVC membrane. One of the biggest advantages of PVC roofing membranes is their long service life. A properly installed PVC roof will last well over 30 years. Most manufacturers offer warranties ranging from 15 to 30 years. The warranty will vary depending on the thickness of the membrane, the size of the welded seams where the membrane overlaps, the method used to install and secure the membrane, as well as the climate and environmental conditions affecting the roof. Typically, a manufacturer will not warrant your PVC roof until their own inspector visits your building and verifies that the contractor has properly followed their specifications for installation. PVC roofs can be used in a wide range of applications. You can install a PVC roof on a large, wide-open roof space, such as Home Depot or on a small building such as a boutique shop. PVC roofs preform very well in high traffic areas, such as deli and restaurant roofs. When it comes to difficult applications, a PVC roofing system is an ideal choice because the membrane’s installation flexibility can overcome many roofing challenges. 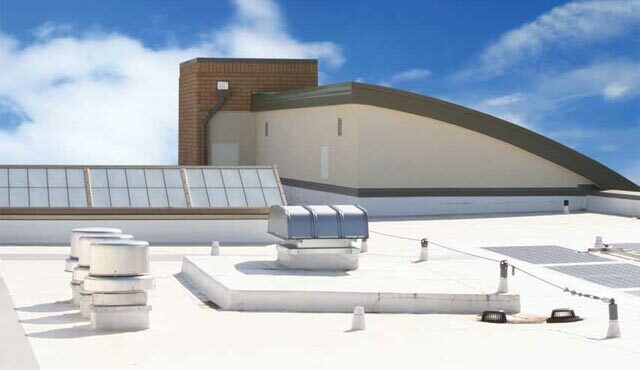 Moreover, PVC roof systems are a solid option for any commercial or industrial facility where there constant exposure to grease, oil, and chemicals on the roof. If you are looking for ways to cut costs and reduce your building’s energy usage, a PVC roofing membrane can help. By reflecting up to 90% of the heat that normally enters a building through the roof, a PVC roof will lower your building’s heat gain, reduce energy consumption and lower your bills. This high reflectivity makes PVC membranes cool, and Energy Start Rated. If your business is located in a hot climate where air conditioning and peak loads are a concern, a light color PVC roof is ideal. A PVC roof stands out among other membranes in the flat roofing market as the most environmentally-friendly choice. Asphalt shingles, EPDM Rubber and TPO membranes are all made from almost 100% fossil fuels, and therefore cannot be recycled. They end up decomposing in landfills; polluting the environment both during the manufacturing process and at the end of their service lives. By contrast, PVC is 100 % recyclable and old PVC roofs are recycled right back into manufacturing of new membranes, becoming part of the bottom ply. Moreover, in most cases it is possible to install a PVC roof right over an old roof, eliminating the need for tearing it off and sending it to the landfill.